Face it! Feel it! Let it go! A lot of us are holding on to things, people, memories, shame, guilt and many other feelings that are stopping us from moving forward. These things or events no longer serve us and they are blocking us from having the life we were meant to live. 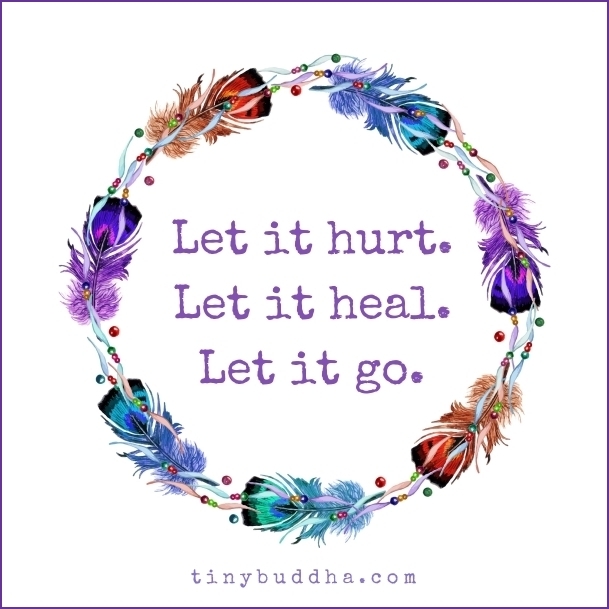 It is time to let go and do the work to heal yourself. Remember each event happened for us to learn the lesson. Look back and see what the lesson was. Did you learn it? The first step to healing is acknowledging it. You need to face it! Then you need to feel the pain and that is a tough one but needed and then you can let go of it. When you release it you leave space for new and beautiful things to come into your life. Time to let go people of the tapes in your head that stop you from being you. Warning! This does not happen over night! Start writing – Take a piece of paper and just write it all out. No censorship. Every thought you think write it. It is called dumping. Dump it out. Feel it all. If you need to cry, cry. You need to feel it. Forgive – Time to forgive yourself or the other person. This is difficult but you have to so you can move forward. It does not mean you forget but you forgive to not hold on to negative energy. You forgive to move forward. Gratitude – You look at the lessons it taught you and you are grateful. You cut the energetic chords and attachments – You can look this up on you tube. – Archangel Michael is great at that. You ask archangel Raphael to help you heal. You can do the meditation on You tube called “Ho’oponopono Song” Very powerful healing tool. You sage yourself and your environment. You put new intentions. Clear the items that don’t serve you anymore. You use new positive affirmations. I am ……………. What is the opposite of how you feel now. Have a chakra clearing session. Time to rewrite the story from victimhood to empowerment! Who is ready? If you need guidance doing this please do not hesitate to contact me. Please seek the help that you need with whoever you feel can help you.